Did you know that the quickest way to become a millionaire was through investing, especially if you start at a young age. You also don’t need to be a financial expert to get rich either. Sounds like a winning combination to me. The problem is that most people don’t have the money to invest long-term or they have no patience to see it through ups and downs. It’s all risk but without any risk we might as well just put our money in a savings account in the bank. On average, millionaires invest 20% of their household income each year. Their wealth isn’t measured by the amount they make each year, but by how they’ve saved and invested over time,” writes Ramit Sethi in his New York Times bestseller, “I Will Teach You To Be Rich. We’ve all heard the above is true especially if your investment portfolio started before you even knew what investing was all about. The only things you want to invest in when you are a child is learning about life which includes playing and tearing the house apart with toys. Funny, the first thing that popped into my mind was budgeting but then I had a bit of a laugh when I read investing. I guess I had one of those moments but it’s true a budget is investing in your future as it can fuel the vehicle to get your investments where you want them to be. Without saving money you may not have the cash flow to invest in becoming a millionaire. A million dollars net worth these days seems like nothing though when you factor in the cost-of-living, housing and all other things we need to buy to survive. It used to be that a million dollars meant you were really rich but not so much these days. A small house in Toronto or Vancouver is worth nearly a million dollars if not more and all you need is a down-payment and meet mortgage borrowing criteria to get that under your belt. Buying a house with a mortgage will however not create a million dollars in Net Worth. Although the asset is worth a million or more the liability (your mortgage) will take that larger figure and whittle it down to what ever you actually own of that house. Net worth is basically a figure telling you what you actually own, not what you have. Either way that number is scary to many people who want to get into the housing market to start building their investment portfolio. A million dollars really is pocket change to some depending on where they live in Canada. Fast-forward 20 years and we have to wonder what our son will have to go through when it’s time for him to go off to University or College. A million dollars of happiness today won’t feel like that as time goes on especially if we factor in inflation into the picture. While meeting with our money manager a.k.a financial advisor we talked about ways we could invest the money we have in our savings account. As you can see below in the charts it’s well over $100,000 which really is a bit nutty to have in a savings account. Besides taking a chunk of the money to max out RRSP’s for us and investing more money to take advantage of all the tax breaks we are left we some investing options. I’m sure there are other ways to invest money floating around but we talked about the most obvious to us. Every month we add more money to our sons high interest (don’t spit out your drink) savings account after his baby bonus arrives. The interest rate is so low it’s not even worth saying it is high anything. The $100 goes right into his bank account which now has over $1000 in it. Since we scheduled an appointment with our financial advisor the other day we brought this to his attention. He knew he could get better investing returns on our sons money than what the bank would offer. We then talked about opening up a non-registered investment account for him. We went ahead and started a non-registered investment account which is not registered with the government for our son and in trust with my wife until he is 18 years old. I guess we now have a trust fund baby, haha!! It won’t be as lucrative as some but there will be money for him down the road. The non-registered account is meant for the long-term and in this case it will be. In other-words it’s a trust fund so he has some money set aside besides his RESP will help finance his education when the time comes. We never dreamed our son who is only 9 months old would have his own investment portfolio at such a young age. Both our parents never did have the money to invest for us when we were young so we’d like to do this for him since we are able to in hopes it will help him later in life. We do after all work hard to live a fulfilling life and for our child so we will do just that. Not many people have the extra cash in their budget to play around with but when you are mortgage free and debt free it really can open up a variety of avenues in your life. This is something we are blessed to be able to do but we did and still work very hard to earn money and save money by leading a frugal lifestyle. We don’t have tonnes of money to spare especially after you factor in the cost of renovations that we are undertaking but investing such a small amount was simple enough for us. The good part is our financial advisor says we can invest as low as $25 a month minimum so we opted for around $100. I honestly thought they would require a more substantial monthly payment. At what age did you start investing money? What ways are you investing in your child’s future besides an RESP? RESP Contribution 2015: $208.33 a month. We’ve had an astounding month this May with the biggest increase in a month ever at 2.87%. After a fairly dismal result last month May certainly came through for us. A great income and fantastic investment results gave us an increase of $19,396.72 for the month. Not every month is going to be like this although retirement would be happening early if it was this easy. Unfortunately, there are up’s and downs in any investments and it’s the long-term results that matter more than the short-term losses and gains. We made use of some of the emergency savings and invested a lump sum into my RRSP and take advantage of the tax break for next years income tax. We invested a further $14,000 and should receive a sizable cheque back from the government which will then get fed back into the RRSP. What Does Individual Net Worth Mean? Net Worth is a snap shot of your financial health sort of like a picture or debt to net assets. In simple terms it’s a total of the value of your assets minus your liabilities. We credit the growth of our net worth due to patience, perseverance, using a monthly budget and not giving up. Your numbers may go up and down but don’t let the numbers scare you rather understand why and move on. 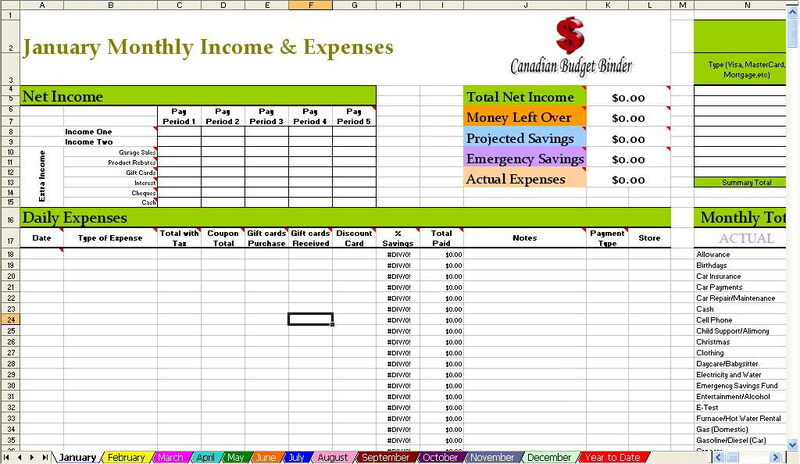 If you would like to use our budget I offer a FREE downloadable budget which I created and that you can use at home just like we do. I don’t charge for it because I want you to save money not spend more! 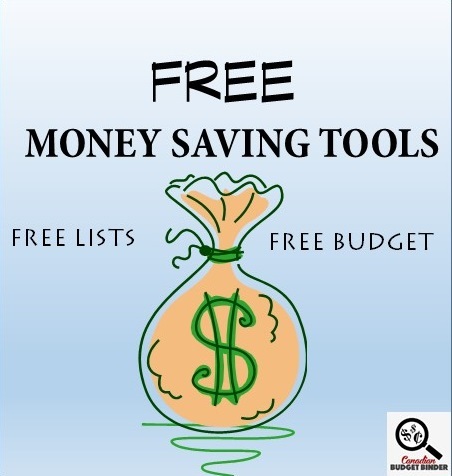 There are tonnes of other free printable lists offered at Canadian Budget Binder to help you achieve some of those financial goals and build your net worth. Now… what you need to do is determine just how much net worth you actually have and go from there…. Figuring out net worth is fairly easy as long as you know your personal numbers or monthly finances which means you need to do your homework. Net Worth is simply adding up all your assets (what you own) then taking away your liabilities (what you owe) which will give you a net worth number. Understanding your net worth will help you determine if you are on track to meeting or beating your personal financial goals. It doesn’t get any easier than that. How to Determine Net Worth? Do you know how to calculate your own Net Worth? Now you can stop asking yourself the question, how do you find out your net worth? Why? It’s easy to determine. We like to calculate our net worth every month so we know if we are still on track. Some people calculate it yearly or quarterly. It’s really up to you and how informed you want to stay when it comes to your financial health. 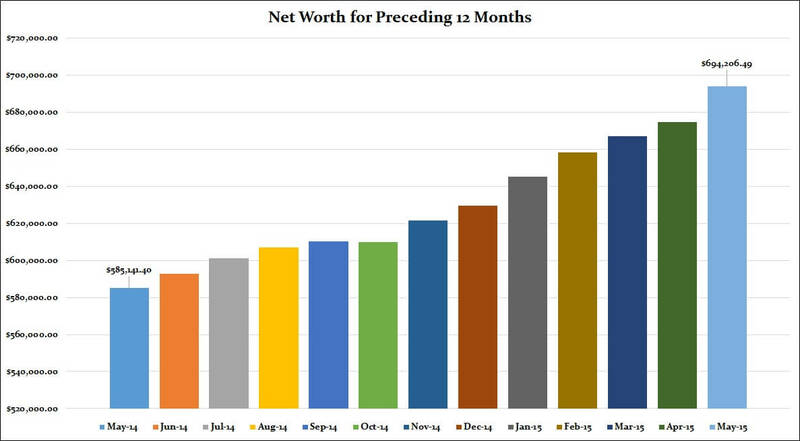 Net Worth is essentially an estimate and not everyone uses the same type of figures. Some people don’t include vehicles like we do or they may leave out the assets inside the home like we have. It depends on what you want to calculate or what you can sell today and make money on. Setting goals are the only way we work towards achieving what we want to get done as a couple around the house and in our financial life. I know that without them we would be flying by the seat of our pants which wouldn’t work for us. I find it’s much easier to be held accountable when I share what we need to do with all of you. Yes, my wife refers to the list when she asks what I plan to do next. I’m not sure if that’s a good thing for me or not. In the graphical representation below, I have used excel to provide a prediction based on the past years monthly net worth figures. 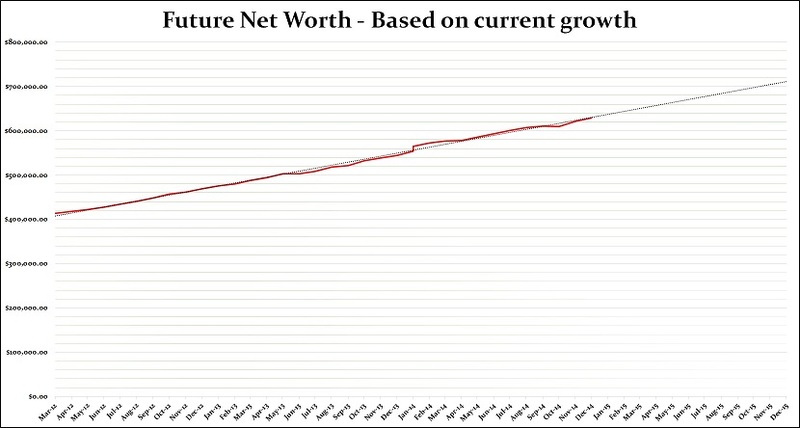 Using figures from our actual net worth gains over the past 12 months (the red line) it has suggested that by the end of this year we should be at approximately $700,000.00. This is nice to know but anything can happen over the next year. Hopefully with some careful planning we can achieve this goal and go beyond it. Do you set goals for the year? When budgeting anything is possible, we are proof of that although we still have a long way to go in our journey. These are our numbers and our goals, not a means of comparison towards your own goals to others target goals. We don’t care how much money others make or if they have a high net worth or if it is lower than ours as it’s not a competition. I hope our experiences perhaps will help guide you along your financial path working towards debt freedom. Not everyone has the same path in life. Some of you may have had to start over like I did or go to school a second time and now have OSAP loans to pay back. Others may have divorced, lost money in the stock market or other investments, suffered job loss, fell ill or was injured on the job etc. but you can’t let that stop you from achieving your financial goals. Some of you may have been given trust funds, paid-for homes, paid educations or perks in life that give you a financial kick-start and that’s OK too. Remember what I said, “It’s not about how much money you make, it’s how you save it”. Focus on you and don’t let the evil eye of money jealousy or keeping up with the Joneses cloud your vision. No one cares about your money as much as you do so don’t waste your energy trying. The only reason people accumulate wealth is because they know how to save or invest it wisely even if they did inherit money or win the lottery. The smallest improvements should mean big strides in working towards reaching your goals. Sometimes we have to fail in order to learn and we’ve all been there. Money can be an evil force for some people especially those who have a negative attitude towards their own financial situation. I urge you to be optimistic and little by little with determination you too should see improvements, if you want that to happen. Below you can click the links to read past 2015 net worth updates to see if we were on target or if we struggled with some of our numbers. Since we are just starting off the 2015 year this is the first net worth update for the year I will start below with the end report for 2014 for those of you that missed it. 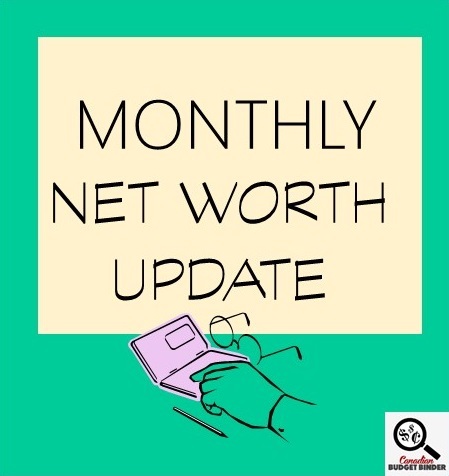 That’s all for this month’s net worth update but please check in at the beginning of July 2015 to see how we made out in June 2015 and what has happened to our finances since. Do you track your net worth? Share your net worth updates with CBB! You don’t have to give your name just a bit about yourself and what you are worth. It’s an amazing gift to be able to set your children up like this from such an early age. We haven’t set aside a separate account for our kids yet, but I’ve been considering it. We just keep investing in a combined low-tax account, and expect one day to just pay for their school fees and perhaps a little help for a home deposit. Love seeing those steadily increasing net worth charts – progress in the right direction is what it’s all about! We have opened up an RESP for our daughter as soon as she was born. She is 16 now and there is enough in there to cover her undergrad degree if she attends a local university and can live at home. We also have money set aside for grad school or moving expenses after graduation. She also has her own bank account when she keeps a potion of her own money towards school expences. We also opened up an RDSP for our son when they became available. We contribute to it monthly and he does as well by investing some of his ODSP cheque. Our net worth is a little over a million and we have no debt. We have worked and saved hard to get to this point. Our son will never be independent and we don’t know what the future holds but it is good to know we have a nice cushion.